Since the start of the Euromaidan in November 2013, Rebecca Harms has been to Kiev almost every month. She believes the Euromaidan is not only a movement that is pro-European but one supported by young people who want reforms, who want to change the country and to free it from the grip of corruption and oligarchy. This is something the Orange Revolution of 2004 failed to do because it was still steered to a large degree by the parties, by influential figures like Viktor Yushchenko and Yulia Tymoshenko and by the Nasha Ukraina bloc. But over this last year we have seen a very different kind of movement. 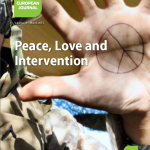 Green European Journal: What are the reforms most urgently needed in Ukraine? Rebecca Harms: Everything needs to be reformed, but what is certainly not needed now is to invent a whole new structure for Ukraine. It always horrifies me that many Europeans think Ukraine should now be transformed into a federal state. This is an idea that has been planted in Ukraine and in the EU by Vladimir Putin and which doesn’t help at all. A country in such need, a country that is under attack, cannot suddenly be decentralised. The country needs good government, it needs good administrative reforms, and Kiev has to see to it that the structures are functioning properly in the oblasts too. This idea of federalisation that is floating around everywhere, that would be a dangerous and entirely wrong path to take. The European Parliament and the Ukrainian Parliament have ratified the association agreement with Ukraine. What does this mean for EU-Ukraine relations? If it goes well then it means that in many areas of the state we will not only be calling for reforms but will actually be able to push them forward through good cooperation. Ukraine needs lots of money, many people know that, but Ukraine has an even greater need for good cooperation to bring about changes in the justice system and in public administration as a whole, in the health system and in many more areas, so that money is not only spent but that the changes work for the good of the people of Ukraine. Economic sanctions are vitally important because we do not want a military response towards Russia. What should neighbourhood policy in Europe look like? What should Europe’s partners expect from it? It’s important for our neighbours that as Europeans we make it clear to Russia that every country in Europe can decide for itself how it cooperates with any other country or region. And that is the big question at the moment: will Russia continue to allow countries outside the EU (but which in 1989 were still part of the Soviet Union) to freely choose whether they want to align themselves more closely, strategically and economically, with Russia or with the EU? Keeping this possibility open is the decisive challenge for neighbourhood policy. Allied to that is the necessity to make sure that reforms are supported, just like in Ukraine, in all the other countries – regardless of whether they have association agreements or not. And shouldn’t we be promising those countries that at some point they too can become members of the EU? I don’t believe that people in Ukraine or in other countries seriously believe they will soon be EU members. You can see that just by looking at how difficult it was to conclude the association agreement. And it hasn’t yet been ratified by all the neighbouring countries. I think that step, which we have now taken with some of our neighbours, was a very good one for us to take, and if it works then at some point we will automatically enter into discussions with them about membership. On the other hand, the EU itself is not in good shape just now, and we have so much difficulty reaching internal agreement on how to carry out certain reforms, and on whether we want to undertake them at all, that at the moment I would say: the EU is not able to take on new members. As a gesture towards Russia, the EU-Ukraine trade agreement is not being implemented immediately – was that a good idea? Why was this compromise necessary? I think the Europeans have made repeated concessions because they hoped that these would help create peace and security for the Ukrainians. The Minsk Protocol is itself of course a very far-reaching compromise that takes the interests of the so-called separatists very much into consideration. And the decision not to implement the agreement immediately but to defer it for a year was itself a conciliatory gesture towards the Russian side. I didn’t agree with the process that was decided here in the European Commission. I was very surprised that such a step resulted in no positive responses from the Russian side, and that the aggressive behaviour which Russia is supporting in the region (which is also directed towards the EU) is continuing unchecked. I believe President Putin has not reformed the country in the way he promised. And I also believe there are big problems in Russia related to an oligarchic and corrupt system. There has been and remains a lack of unity in the debate over economic sanctions against Russia. What could be done about that? There must be agreement about how to manage the impacts of these sanctions if they are going to continue. Europeans have to demonstrate mutual solidarity so that countries can deal with the domestic consequences of the sanctions. Economic sanctions are vitally important because we do not want a military response towards Russia. But at the same time we simply cannot allow one country to attack another country on our own borders just because it has a trade agreement with us. We cannot continue with ‘business as usual’ in such circumstances. Will the sanctions work? Putin could try to secure his domestic position by means of the military aggression in the neighbouring state. I never thought it would be easy to persuade Russia to abandon this course. I think it would not have mattered what we did. Once the puppet Yanukovych could no longer be maintained in position, Moscow simply looked for another way to destabilise Ukraine and EU-Ukraine relations. As I said, the sanctions are also intended to be a message to Russia that we will not resume normal relations if Russia fails to abide by international rules. If Russia continues in its determination to trample over all rules of international diplomacy, if Russia continues in its determination to destabilise the regions in the east of Ukraine with terrorists and also with soldiers, then President Putin will have to continue to live with economic sanctions. You wrote on your website: “It will certainly not be easy to formulate a new common security policy. But it has to be done.” What should it look like? Europe has now had an animated discussion about NATO’s role, and in Eastern Europe especially it continues to be widely debated. Some people say that the behaviour of Russia is simply a reaction to the expansion of NATO into Eastern Europe, but people in the Baltic states, in Poland and in other eastern member states say that if we didn’t have NATO then they too would be easy prey for Putin, like the Crimea. How to defend the people of Europe will make for an interesting discussion. I think we will soon have to take another look at classical defence policy as well. I suspect you are thinking of the American political scientist John J. Mearsheimer, who wrote a couple of months ago that NATO was creeping territorially ever closer to Moscow’s sphere of power and interest, and that it was therefore understandable that Russia had refused to tolerate the Europeanisation of Ukraine. Doesn’t he have a point? I find that far-fetched. Ukraine’s decision not to join NATO but instead to sign what is in essence a politicised trade agreement was not the cause. When this was negotiated it was never about NATO. The paragraphs relating to security in the association agreement cover completely different areas of cooperation. They are about Ukraine taking part in specific missions, and not at all about active membership of NATO. All the claims to that effect are simply not correct. I believe there are serious problems in Russia. I believe President Putin has not reformed the country in the way he promised. And I also believe there are big problems in Russia related to an oligarchic and corrupt system. Everything that is wrong in Russia was supposed to disappear behind this new idea, that the Russian Federation should re-connect with the old powerful Soviet Union. This is the really threatening scenario. There has been nothing like that from the NATO side. A couple of years ago, in the case of Georgia, concessions were made to Russia, but it didn’t help then because despite that there was a war over this ‘frozen conflict’ in Abkhazia and Ossetia. So I think it is misguided when people in the EU or the West continue to spin this fairy tale of how it is the West or NATO which really bears responsibility for the fact that there is now a war in the Donbass. I consider that to be a fiction. So Putin has been planning this for a long time? If you go back and read over his speeches, then it is true that ideas and discussions on these topics have been circulating in Russia for a long time. Is the situation in Russia properly understood here in Europe? There are people here in Brussels who understand it well, but the further away one is from Russia in the EU, the poorer the understanding is. The fact that the sanctions are there to protect us is something that many Europeans have not yet understood in my view. What should happen next with Russia? There are discussions going on around long-term incentives that could provide Russia with an exit from the conflict. For example, at the World Economic Forum in Davos, Federal Chancellor Angela Merkel held out the prospect of talks between the EU and the Eurasian Union over “possibilities of cooperation in a common trade area”. That’s an old idea of course. There have been numerous initiatives on the part of the EU to develop closer ties with Russia in various thematic areas. So the German Chancellor Angela Merkel was merely repeating in Davos a self-evident fact that was already influencing European policy. At the same time, though, she said that the precondition for such cooperation is that Russia ceases to support war. It’s important for our neighbours that as Europeans we make it clear to Russia that every country in Europe can decide for itself how it cooperates with any other country or region. But that sounds as if Angela Merkel wants to reward Russia for finally stopping the war. I have spoken with correspondents who took part in the background talks at Davos, and they all had the impression that this statement was misinterpreted later. Because it applies to the whole of the EU: everybody wanted good relations with Russia, everybody wanted this European Russia. Nobody in the EU wants to give up on that, but unfortunately Putin and his entourage have already given up on these ideas. What should a common EU foreign policy look like? What would be the EU’s role in the world? Well, what sort of ‘soft power’ does the EU represent in the world? 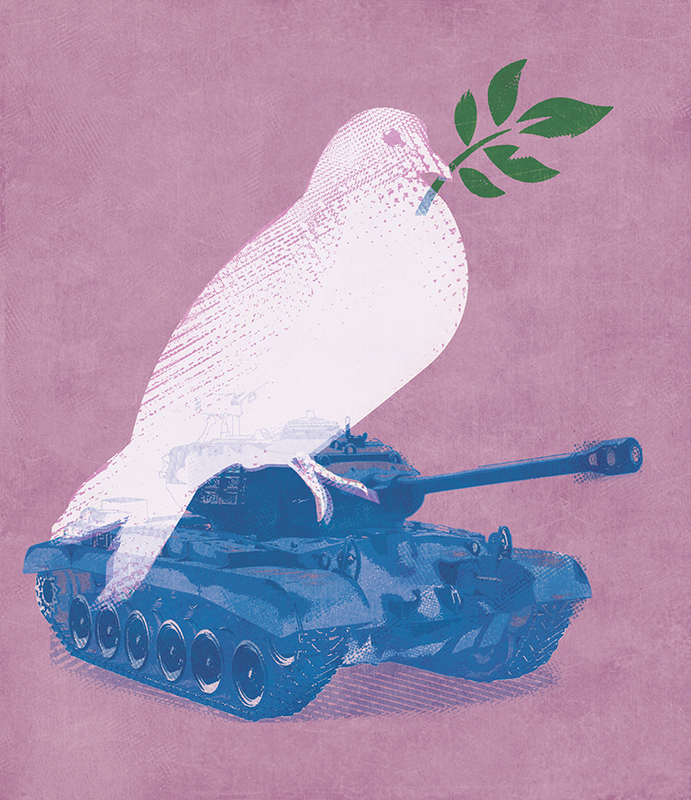 In this conflict with Russia, too, we have tried to find a solution that avoids war. We try many things before we seek military solutions. Now we have this situation in Ukraine where we are saying “We are the ‘soft power’” that is defusing this war by 21st century means. We place our faith in sanctions, but we are just discovering that they don’t work and that the other side is leaning increasingly towards a military solution. I don’t yet know what Europeans will learn from this, but we will always be that region of the world which considers military action only in the context of international law and only as the last option. I’m sure most Europeans agree with that. So we will never take over America’s role? America too is rethinking. Obama is a President who has tried to review whether it is right to play the role of global policeman and what consequences it can have. And I believe there really are good reasons to review the last big campaigns in Iraq and Afghanistan in order to come up with new ideas. I don’t think the EU is really suited to playing this American role, but nor can we pretend that the world has suddenly become an entirely peaceful place.